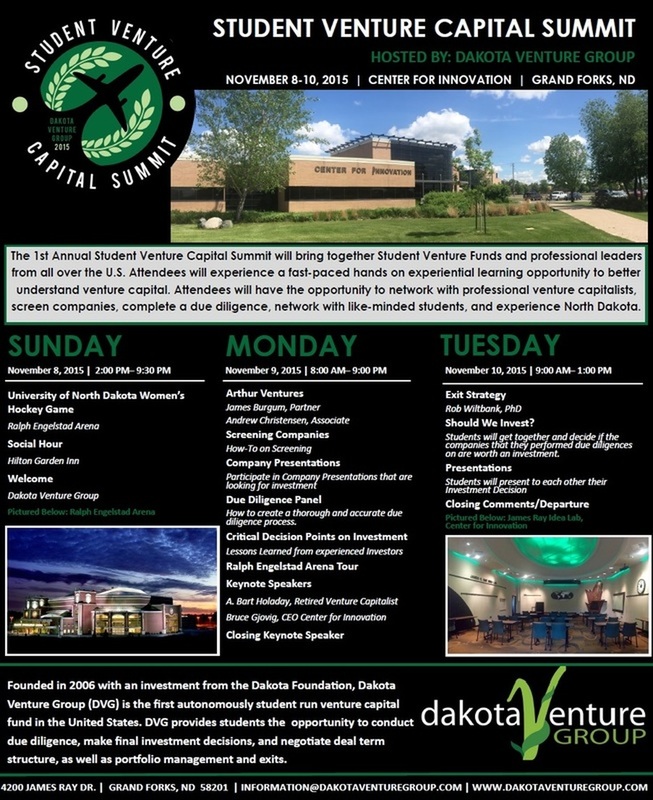 The Dakota Venture Group provides students the opportunity to conduct due diligence, make final investment decisions, and negotiate deal term structure. By participating, UND students receive an unheard of opportunity for experiential learning in the field of venture capital and angel investing. © Dakota Venture Group, Inc. All rights reserved.